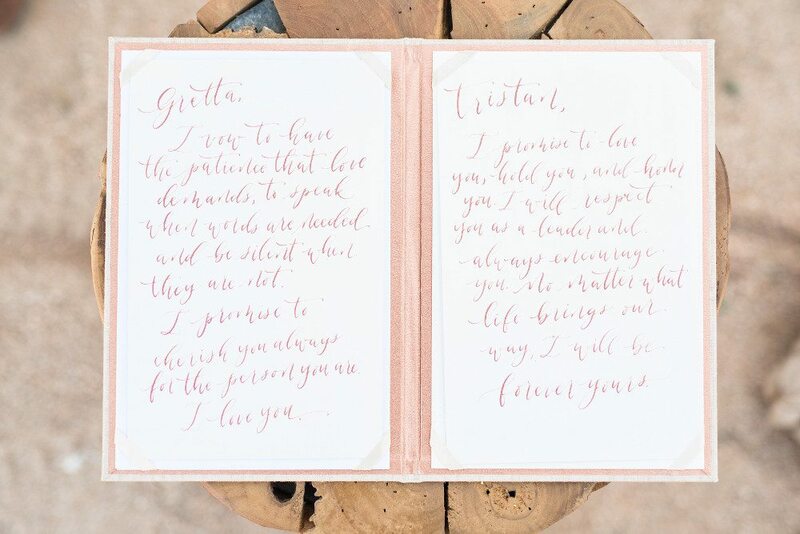 I love waking up to find a new feature including one of our vow books, and this day was particularly great because it was actually cooler outside and I had already downed my first cup of coffee. 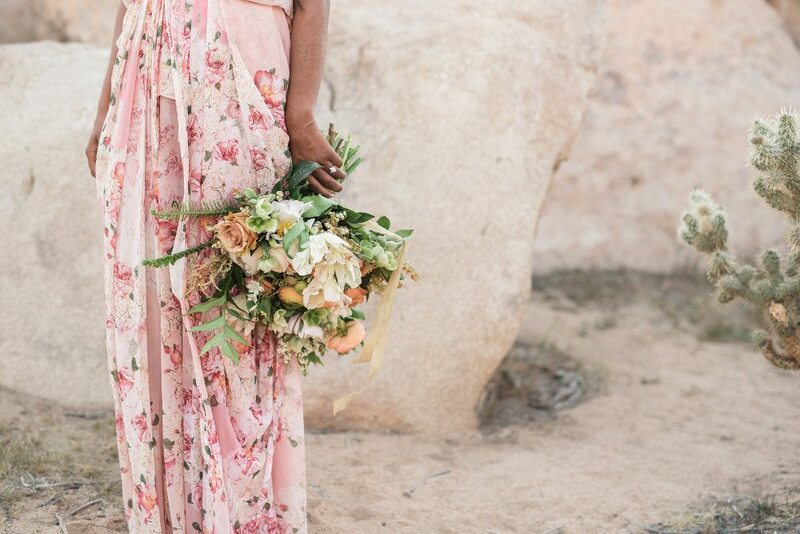 This shoot is from a workshop hosted by Whitney Huynh, owner of Tulle & Grace who travels the world for destination weddings. 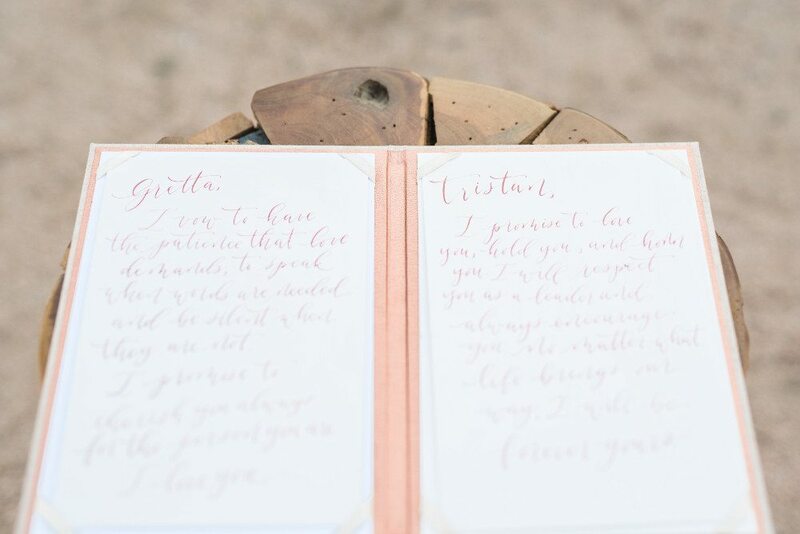 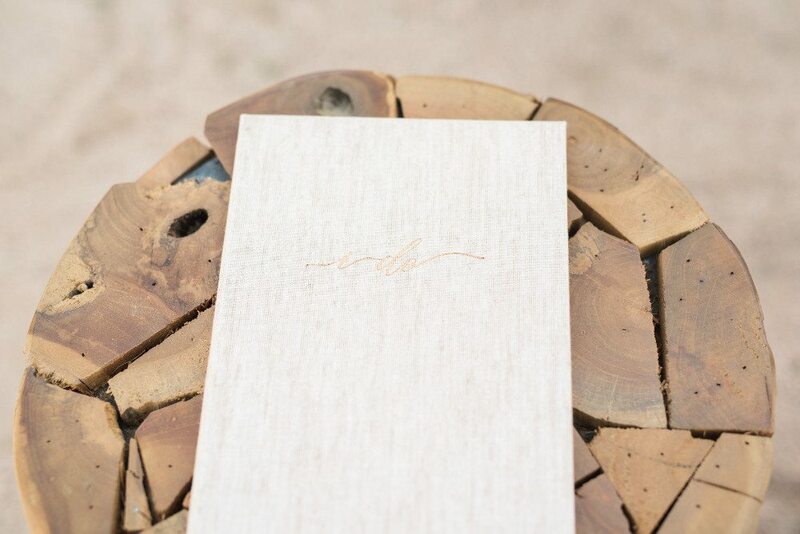 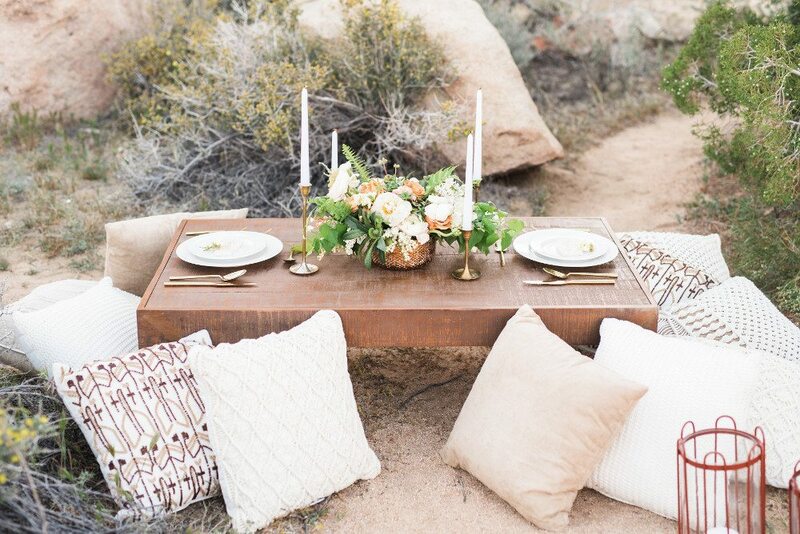 When we were asked to send our “Sand” vow book for this shoot, we added a custom copper element, which pulled out the neutral palette of the desert scene beautifully well. 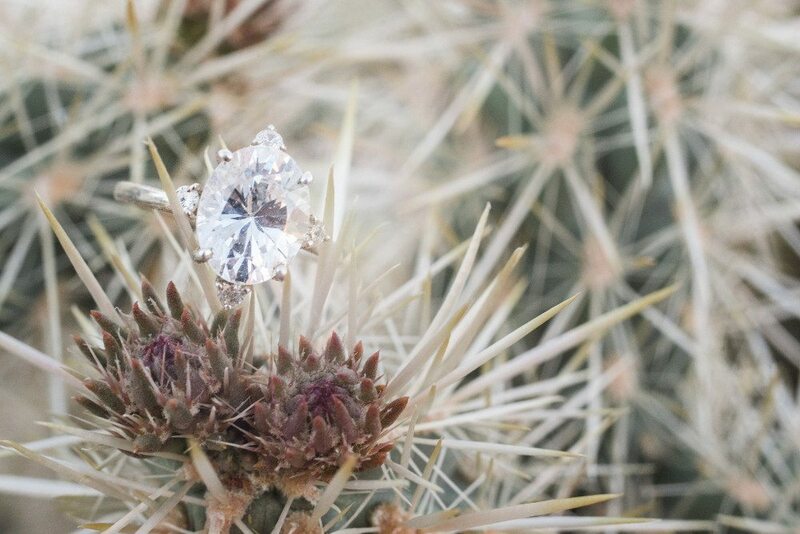 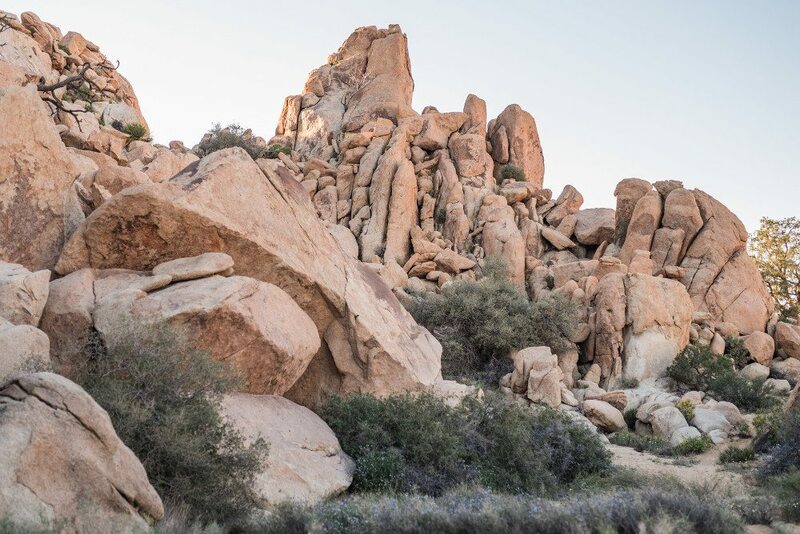 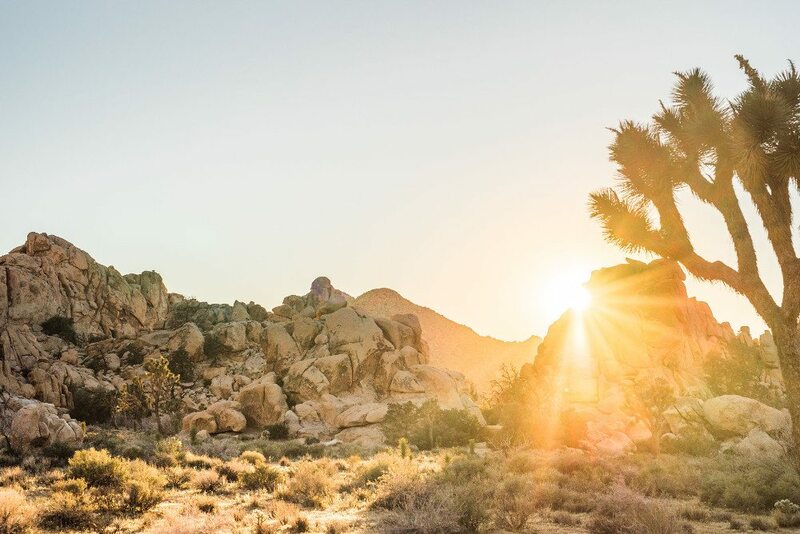 Photographer Victoria Johansson captured these sweet shots in Joshua Tree, California.